The government is expected to announce this year changes to how schools are funded. Currently decile funding is meant to compensate for inequity. But as the tale of these two fairs shows, it doesn’t. Check out how schools make up the current funding shortfalls. Tokoroa’s annual Strathmore School Gala is firmly on the town’s calendar as a must-attend family day out. Acting deputy principal Rachel Rawiri says each year it’s a massive undertaking involving everyone in the school community – whānau, students, teachers, local businesses. “What’s really special about our gala is the way it brings our community together. We have families whose kids have long gone and left school but who still put many hours of work into making sure the day’s a huge success. The local business community also provides huge support, such as a $100 voucher from the local café, while a local butcher donates a whole mutton for the hangi. A popular raffle prize is the donated loads of fire wood. But Rachel is the first to admit, it’s a back-breaking task keeping a welloiled organising team running on the smell of an oily rag. 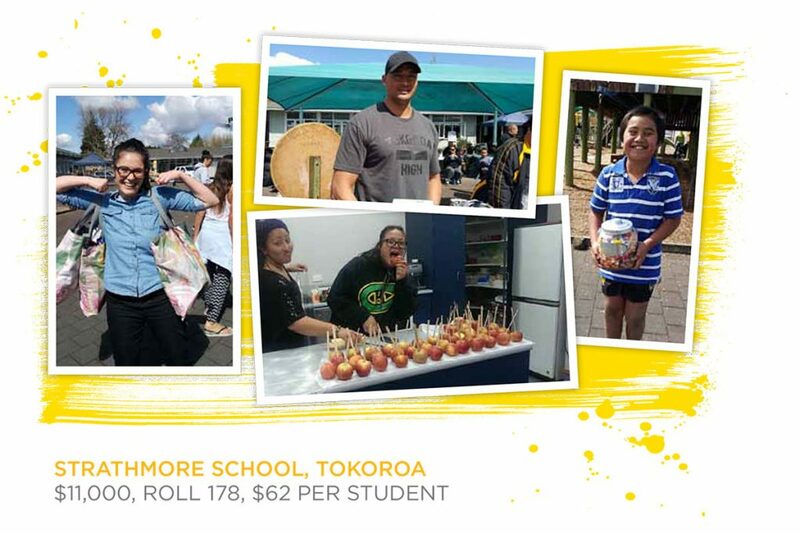 It doesn’t surprise her that many other low decile schools have given up on the school gala, citing too much time and human resource for the fund-raising abilities of the community. 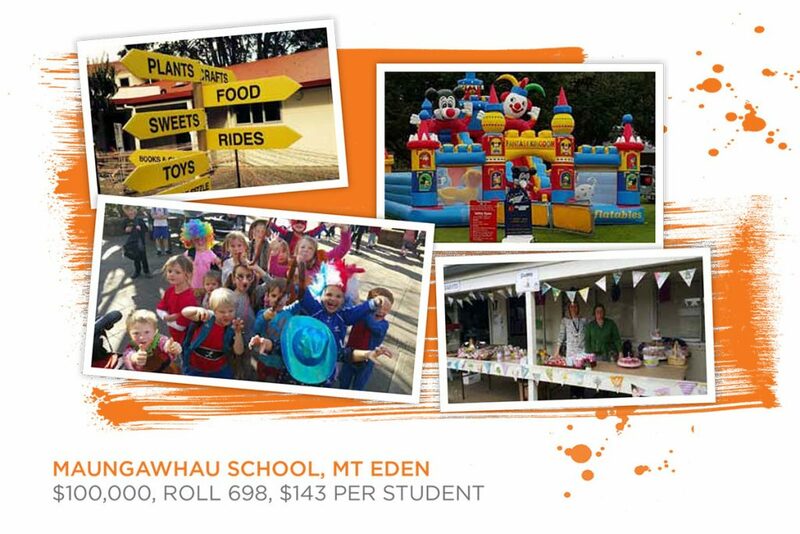 The annual school fair at Maungawhau School, Auckland, has been going since around the World War Two era and the community looks forward to it with great anticipation. Of course, what it means is a great deal of work for the central fair-organising committee, which comprises about eight parents. Some are mainly worker bees, others are marketing experts, and others have financial nous. All dedicate many hours to making it work, and without this committee, the day simply wouldn’t fall into place. The fair itself, plus an auction that is also run, took the total take this year to $100k, a great result. The auction night is a more adult event and was this year heavily supported by local real estate agents. The key to the auction is the prize pool. This obviously takes a lot of organising too, but luckily there are Maungawhau families with good connections that can furnish these. After the auction, it’s the lead up to fair day, with lolly lei-making nights, jam and preserves making, crafts, plants and all sorts of other goods to be organised. Just before the day there are cakes and sweets to be made, and second hand stalls to arrange – books, clothes, toys and bric-a-brac. The day features not just these traditional favourites but things like orbs, racing cars, stationary bungy, and an amazingly popular plant stall. We have bouncy castles, coconut shy and other games, and food stalls galore. We also have lots of performances by school groups and even a highly anticipated performance by the teachers.